For too long, ADS-B has been expensive and complicated. Not any more. The company that revolutionized ADS-B In with the Stratus series of portable weather receivers has done it again. Meet Stratus ESG, the affordable, all-in-one answer for adding ADS-B Out to your panel. In addition to being a great transponder and an ADS-B Out solution, Stratus ESG can also connect to a Stratus portable ADS-B In receiver. This makes it a complete system, with subscription-free weather and traffic. Stratus ESG is made in the USA and includes a 2 year warranty. For pilots who already have a WAAS GPS in the panel, Appareo also offers Stratus ES with the same features minus the GPS receiver. If a new transponder is on your “to-get” list, you might want to choose one that’s both relevant now and in the future. The KT 74 transponder from Bendix/King is the easiest upgrade to the popular KT 76A/C and KT 78A models, with a “plug and go” capacity. And it’s ADS-B compliant, therefore meeting all 2020 requirements. It is low-cost, easy to install and fits into your existing panel. Suiting your needs now and in the future. The AuRACLE CRM2100 is a dual-box networked system. The system’s Engine Interface Unit (EIU) is mounted on the engine-side of the firewall. All engine sensors connect directly to the EIU. The engine data is communicated on a true aerospace network via a CAN bus to the Display Unit (DU). From the EIU, the supplied communications connects to a single bulkhead connector at the firewall. A second supplied communications cable is connected from the firewall to the DU. This networked system reduces wire runs, thereby significantly reducing installation costs and is very advantageous for pressurized aircraft. The AuRACLE CRM2100 networked system architecture allows for future expansion to communicate with other networked engine monitoring products. EGView ™ personal edition included with unit! Avidyne’s IFD540 GPS/NAV/COM combines the best Flight Management System available, with a multi-channel digital VHF radio, in an easy-to-use, plug & play design for general aviation pilots. Avidyne’s leadership in easy-to-use avionics takes the next step forward with the introduction of the IFD540 GPS/NAV/COM. As the newest member of Avidyne’s integrated flight display family, the IFD540 provides the same powerful navigation, communication, and multi-function display capability as found in our award-winning Entegra Release 9 systems in a touch screen, panel-mounted avionics form-factor. 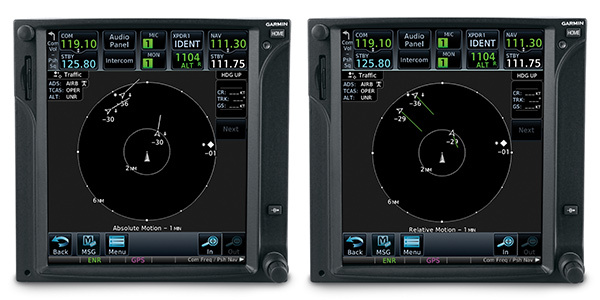 The IFD540 is designed as a plug & play replacement for the popular GNS530 & 530W navigators, but with bigger glass, a much larger screen area, 400% more pixels, and a much easier to use, touch-screen interface. And because it’s the same physical size, uses the same tray & antennas, and can be installed with no wiring changes, it makes it an incredibly easy and affordable retrofit for general aviation aircraft.